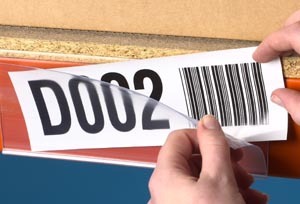 Self adhesive or magnetic ticket holders, ideal for identifying shelving or racking locations, helping to ensure products are easy to find whilst also encouraging staff to return products to the right storage location. Supplied in a range of pre-cut sizes that can be quickly fixed onto everything from small stockroom or retail shelves to large pallet racking beams in a distribution centre. White card inserts are supplied with all variations, pre-cut sizes are available in 100 and 200mm widths or you can purchase a full 1 metre length so that you can cut your own bespoke size label holders.